Happy Saturday, friends!! Did you have a good Friday? Josh and I have officially ripped our bathroom apart, and are updating it a bit. We live in a subdivision...so of course, our bathrooms are just cookie cutter, standard bathrooms. And while we aren't replacing the big things (shower, sink, etc....), we ARE painting it, putting in new hardware, a beautiful new mirror....and purchased plush beautiful new towels. We have been using the same towels that we received when we got married...almost 11 years. Folks- it was time. Ha!!! I will be heading up to Ronan for the day in a little bit, because the couple I am shooting today really wanted a farm/country feel to their photos. Enter Hocker Farms...my family's farm. I was actually really excited when the couple said they were game for driving up there and just spending the day with me on the farm. I think it is going to be an awesome shoot today! I know this is my card blog, but I did just post my most recent engagement session on my photography blog....so feel free to check it out if you'd like!! Today I have another love themed card to share with you (big surprise...that is mostly what I create), using the Glitz Design "Uncharted Waters" collection. I ADORE this collection! While it has a nautical theme to it...its not so themey that you can't use it for other subjects, and the addition of gold to the collection was just GENIUS. LOVE! Without further ado, here is what I made! 1. Make A2 card from yellow cardstock. 2. Cut striped paper slightly smaller, and adhere to the front. 3. Cut a floral paper block, and adhere to the middle. 4. Add two strips of "choose happiness" washi tape to the seams of the floral block. 5. Cut the day tabs from patterned paper, and adhere at the top. 6. Add a diecut Polaroid frame to the front, then accent with two strips of washi tape. 7. Diecut a tag from patterned paper, then layer to the bottom right of the frame with a large jewel. 8. Add the gold alpha stickers to both sides of the jewel. 9. 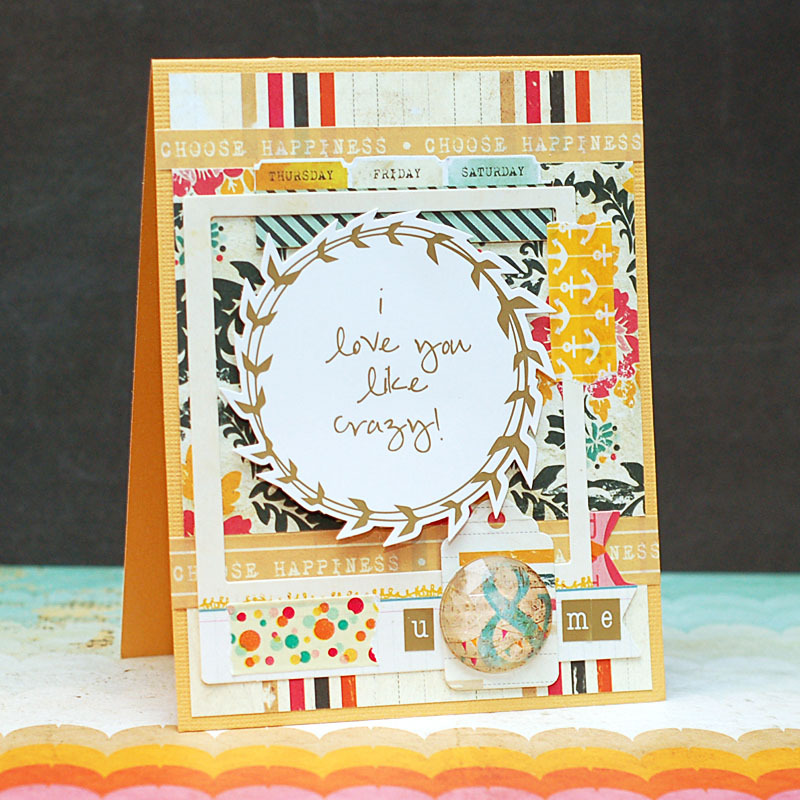 Add the sentiment sticker to the middle of the card with foam adhesive to finish. So, I have some Bible study notes to share with you today....so why don't we get right to it. Yeah- so my Bible titles this section "God's Wrath Against Sinful Humanity". Awesome. And just about as fun to read. Ha! At first, I was like, so we went from reading this beautiful introduction about Jesus....into this?! Really...really? But alas, it's time to move on because Paul apparently had a lot to write the Romans about. Yes- there are a lot of behaviors & actions listed in this section, but I'm not going to focus on them. I am going to focus on what stirred in my heart as I studied these verses. 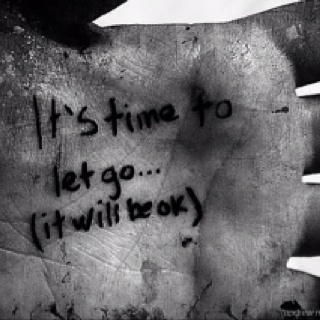 Have you ever had to let someone go from your life to keep them from hurting you or being a toxic presence? I have, and it's not an easy thing to do. I love them still, but I just couldn't do it any longer. That made me think of God, and how He must feel when someone that He created & loves, someone who knows of His power & grace....just turns their back on Him. While I know that I can let daily life get in the way of seeking God with all my heart at times, the Holy Spirit is a great gentle reminder of that. I can't imagine just ever walking away from God, knowing the grace & mercy & power He has poured into my life. But I can admit that I did struggle with part that says, "Therefore God gave them over to....." Does this mean that they no longer have any hope? Was God just giving up on them completely? This didn't sit well with me, so I asked about it in our small group a couple of weeks ago, and came to this. There is always hope, until we are dead. God doesn't give up on us, but He does give us free will. By nature, we choose self over God....which includes acting on our sinful nature. Your card is so bright and sunny! Another brilliant and bright, beautiful card Lea. I always enjoy seeing your art and having you share in our challenges. You are such a talented blessing to me! I do love uncharted waters, I do! It's my most favourite collection right now... have been creating lots with it but not blogged the projects yet... must do! Your card is adorable and pretty! Great thoughts today in your devotional, too. Thanks for sharing! Your card is absolutely gorgeous, Lea! And what a fun post. Thanks for sharing! This collection from Glitz does look fun, and I love those engagement photos! Thanks for your insights on letting toxic people go; I am in the middle of trying to do this and you are right that it's not easy, but at least I know I am not the only person who deals with this sort of thing. Thanks, Lea! What a fun card! I love how you combine elements - that bit of washi just makes me happy. 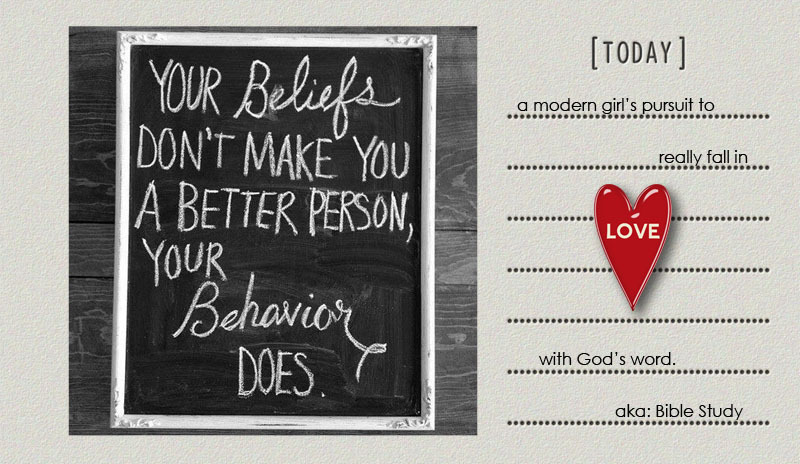 I love your new blog look and loved today's study notes too. Hi Lea! Your card is absolutely amazing! I love how you used the washi tape! Thank you for sharing your Bible study notes. I loved reading your post! I am so glad you joined us at Delightful Challenges! Just love your card and sentiment. Thanks so much fro joining us this week at Delightful Challenges.